Pneumonia is just one of the complications of the herpes simplex virus. The herpes virus weakens the immune system and makes the body more vulnerable to things like pneumonia. As with most cases of pneumonia, children and the elderly who carry the herpes virus are at an increased risk. Pneumonia is a lung infection with symptoms such as a dry or painful cough, a shortage or rapidness of breath, fever, and chills. Herpes is among the more rare causes of pneumonia, however it is entirely possible to have both herpes and pneumonia under completely unrelated circumstances.A host of other viruses as well as bacteria and fungi can also lead to pneumonia. Influenza A and B (the flu) is the most common cause of pneumonia while Chickenpox and measles can also lead to cases of pneumonia. People who carry the herpes virus are also more susceptible to developing HIV. And each year, herpes accounts for over 2,000 cases of encephalitis, a brain disease with a 70% fatality rate. If you have a weakened immune system due to having the herpes virus, you should take extra precautions to avoid contracting pneumonia. 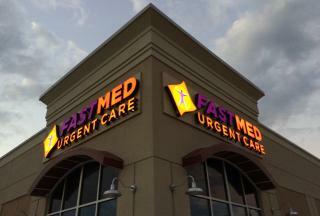 If you are experiencing any symptoms of pneumonia or any other complications of herpes, visit your local FastMed today.